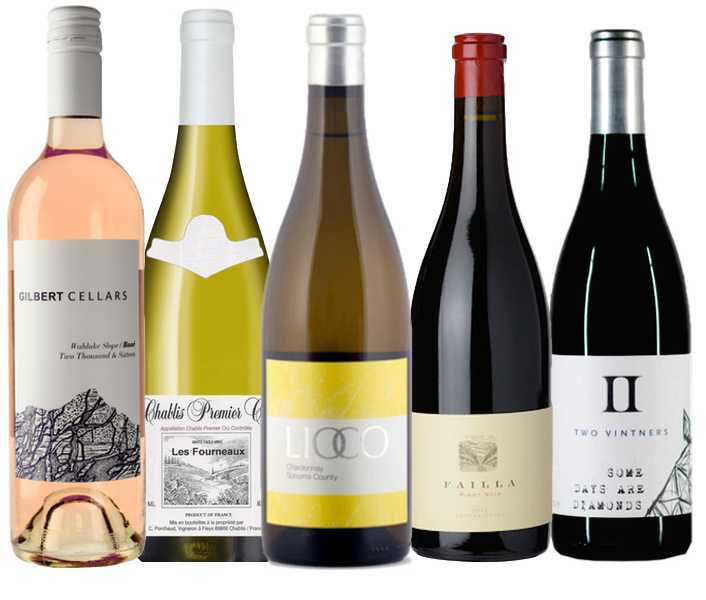 Blog | O'Looney's Wine & Liquor | First-class selection from the people who know best! Check out this month’s staff picks. See something you like? Add it to your cart, buy it online, and pick it up in store! If you’re looking for a wine with enough body to stand up to the red meats and wild game of hunting season, Post Scriptum is the wine you’ve been searching for. The combination of dark fruit flavors (think blackberry and boysenberry jam) and strong tannins is striking but doesn’t overwhelm the palate. Give it plenty of time to breath and enjoy! 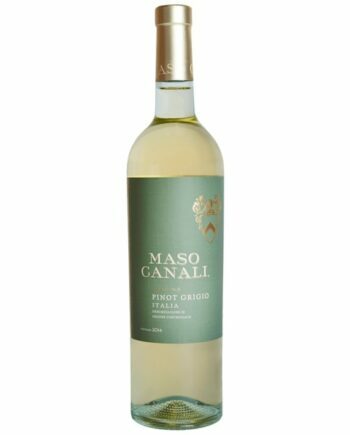 This wine has notes of apple and baked pear with hints of tropical fruits and vanilla bean. Look for flavors of ripe Opal apples, Meyer lemon, sage, and vanilla pannacotta on the palate. One of my personal favor chardonnays, especially when paired with Thanksgivings foods! One of my favorite grapes from one of my favorite wineries! 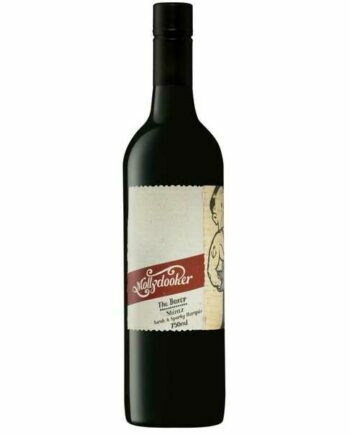 This cabernet franc is rich and silky while maintaining a perfume of crushed violets, ripe raspberries, and soft, warm leather. This is the perfect, no-fuss wine you want after a long day. It has notes of apple, melon and floral aromas. The flavors are all apples and citrus, bright and crisp, mouthwatering with a nice, lingering finish. Pair this zippy dry white wine with everything from cheese or chicken skewers to seafood, salads and even spicy dishes. My favorite wine and dessert pairing is Port and chocolate cake! This is the perfect wine for finishing up your Thanksgiving meal! 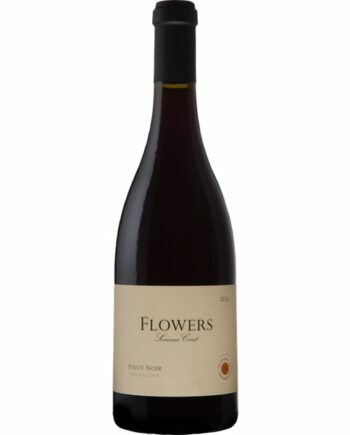 It has notes of rich, ripe raspberries, stewed plums, and sweet strawberries. The grapes for this wine are harvested from vines that range from 60-100 years old, and the wine is aged for two full years in oak barrels before bottling. It has flavors of vanilla and dark chocolate, as well as powerful notes blackberry and ripe cherry. We should all be drinking more Burgundy and this wine is your chance to do so at a great value. Look for notes of sour cherry, crushed raspberries, a subtle earthiness, and a hint of cold fall air. Sounds like the perfect October patio wine to me! I really love the way this pinot tastes so fresh and lively. I pair it with pretty much everything from chicken to pork, even BBQ! 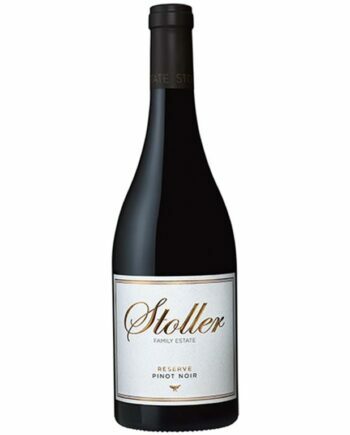 It has notes of cherry, blackberry, and spice on the nose and a hint of vanilla on the finish. A really fun and playful take on California Grenache. It’s perfect for pairing with burgers and brats in the backyard. Look for notes of blueberry, blackberry, freshly steeped tea, and an earthy note that carries hints of clove and allspice on the finish. This is the perfect, no-fuss wine you want after a long day. It has notes of apple, melon and floral aromas. The flavors are all apples and citrus, bright and crisp, mouthwatering with a nice, lingering finish. Pair this fruity dry white wine with everything from cheese or chicken skewers to seafood, salads and even spicy dishes. Rich and complex, with layered notes of brown butter, Opal apples, toasted nuts, and Easter lilies, it’s beset with gentle aromas of wood smoke and white fruits. For those who’ve never enjoyed chardonnay, I encourage you to make the splurge for this bottle. It’s an incredible wine and will open your palate to a new range of flavors. Fun and funky, this rosé is a blend of cabernet and malbec and it’s full of strawberry and watermelon notes. It’s still pretty warm out so this is the rosé that’s been keeping me cool! 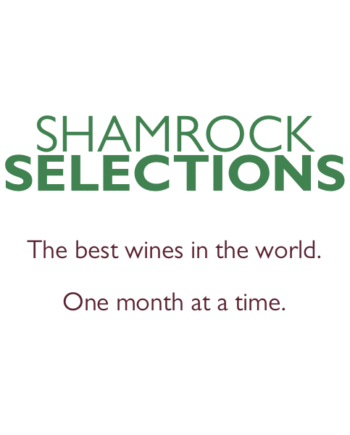 Shamrock Selections is a monthly subscription service that brings you the best wines from around the world. 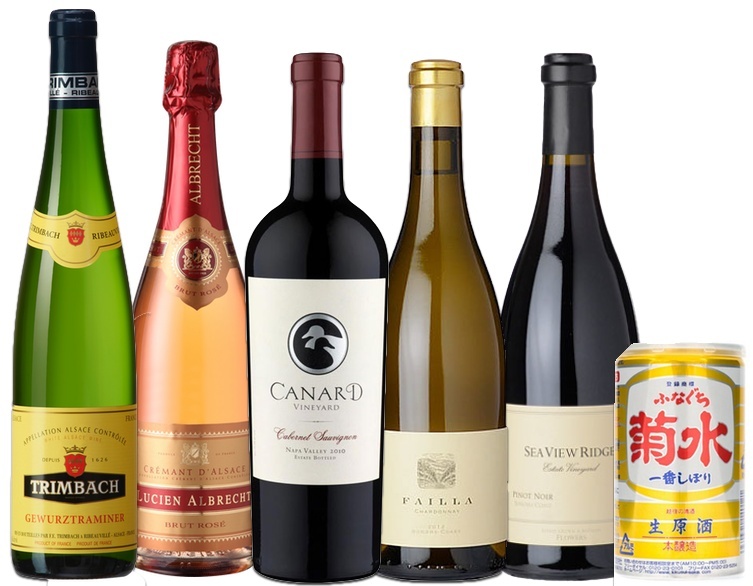 Each month’s selection is carefully chosen by sommelier Keegan Sparks and his team. He keeps a keen eye out for wines that are unique, rare, and new to our market. Shamrock Selections is ideal for enthusiasts and explorers who delight in finding hidden gems and trying new, exclusive vintages. Each month, you can join us on a journey of sampling and learning about some of the greatest wines in the world. Each selection of wine comes with detailed tasting notes and food pairing suggestions from our team. I’ve always thought that when trying something new, be it a new wine, a food, an experience, or anything else, you have to try it twice. Once to get a feel for it and a second time make confirm (or not) the first experience. That’s exactly what I had to do with this wine, and I’m so, so, so glad that I did. Clos Sainte Magdeleine is something of hallowed ground for many wine lovers, with their blanc and rosé (they don’t make any red wine) easily ranking among the best wines of France regardless of style. 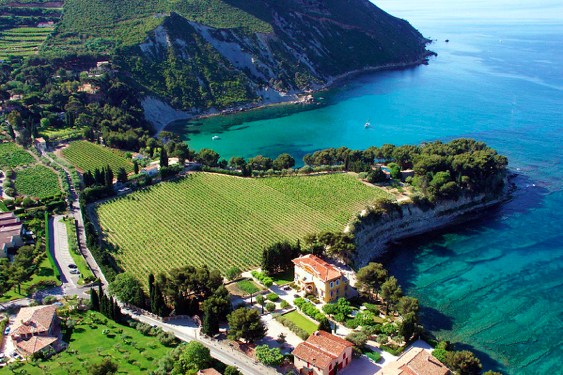 Cassis is an ancient village sitting directly on the Mediterranean coast (see photo of the winery above) just a few miles south and east of Marseilles. It was founded in the sixth century B.C. by Greek fishermen who first brought ugni blanc grapes to the area. Today, ugni blanc makes up 30% of blend, where it’s joined by marsanne, clairette, and bourbelanc to make a wine that is so lively and fresh, it’s like having a samba band playing a set your mouth. Just a month into my journey into wine, now almost three years ago, I tasted this wine for the first time. Keegan and Jonathan were both so excited that we had gotten that I couldn’t wait to see what all the fuss was about. Let’s just say that I was a little less than impressed. To my untrained palate it seemed thin and harsh, all jagged, pointy edges with little, if any, fruit. Was it a bad bottle? Did I not know enough about wine at the time to appreciate it? The later is most likely – I was a complete novice to any wine that wasn’t moscato. It wasn’t until this last spring on a trip to Portland that I would get the chance to revisit this wine. I found a restaurant that was pouring it by the glass….and proceeded to accidentally drink a full bottle. Now that my palate had become accustomed to well-made, dry wines I recognized that what I first interpreted as a razor-sharp edges was actually the brilliant, lifting acidity. The fruit that I had missed before now showed as electrifying notes of papaya, pineapple, and guava. You’re getting the 2017 vintage today and I encourage you to drink it quickly (Not that this wine can’t age, in fact, it should drink well for the next 5-7 years), before the weather changes. This is a bottle of summer water and it deserves a dinner on a patio. Pair it with seafood and shellfish. It’s just begging for moules frites or oysters. Back in February we took a figurative trip down to Argentina with the Bramare malbec, and at the time Keegan and I both remarked to each other that we should explore more of South American wine. Now, some seven months later, we’re staying true to our word. While Argentina has had great success with malbec, Chile has become a mecca for cabernet. In the 1800’s when phylloxera was ravaging the world’s vineyard’s, many French winemakers moved to Chile, a country whose geographic isolation protected it against the deadly pest. These winemakers began planting the classic grapes of Bordeaux, mainly cabernet and merlot and now we’re reaping the fruits of their labor. This wine comes from the Maipo Valley, Chile’s equivalent to Napa: the heart of cabernet production. Like cabernet from around the world, it has characteristically high tannins and acid, but where Napa shows intense dark fruit like plum and blackcurrant, the Maipo Valley shows warm, baked red fruits. Look for notes of baked figs, cooked raspberries, and earthy cherries. 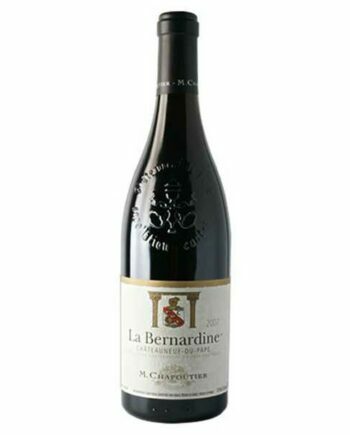 It spent a full year in French oak barrels which have imparted a subtle spiciness to the wine. For me, this always shows itself most on this finish. I’d suggest that after your swallow a sip, exhale through your nose. This is always where I pick up the hints of oak, the subtle hints of cardamom, clove, and vanilla. As we begin to move into cool(er) weather, this is the kind of wine that I’ve been beginning to crave. Plenty of structure and fruit, but lacking the overwrought intensity that some cabernets can have. In short, it’s a wine that won’t feel too heavy when it’s still regularly in the high 80’s. Pair it with red meat or anything from the grill. 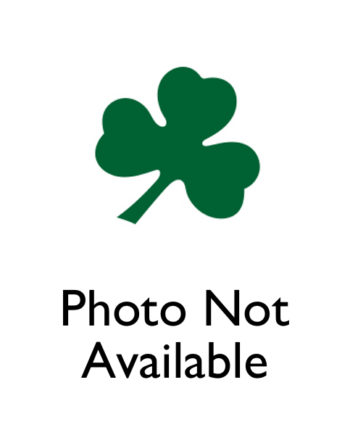 Want to join Shamrock Selections? There’s still time to subscribe in order to get next month’s selections. Use the link below to subscribe! By now, you’re well accustomed to the idea that Keegan and I try to structure each month’s selections around a central theme, and this month that theme is “exploration.” When explaining Shamrock Selections to potential members, I always want to reinforce that our goal is to nudge our members out of their wine comfort zones. Think you don’t like chardonnay? Wait till you try 1er cru Chablis. Think Barolo isn’t every bit as good as cabernet? Let this Vietti Castiglione change your mind. Keegan and I are always on the lookout for ways in which to show you something as fresh, new, and exciting as we can, but sometimes, that means pushing ourselves outside of our own respective wine drinking bubbles. With that being said, I hope you enjoy these wines for the sense of adventure that they instilled in us. 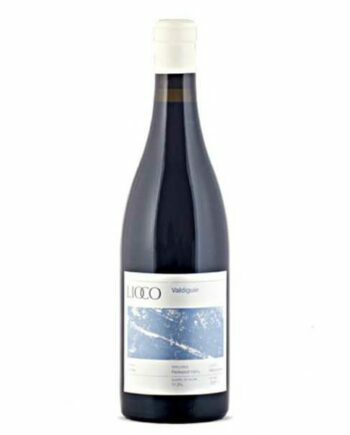 I’ve been a fan of Lioco for several years now, snagging a few bottles of their wines when I would find them in cities like Memphis, New Orleans, or Dallas. When they finally began distribution to Arkansas in April, I knew that at least one of their wines would make it into your hands. 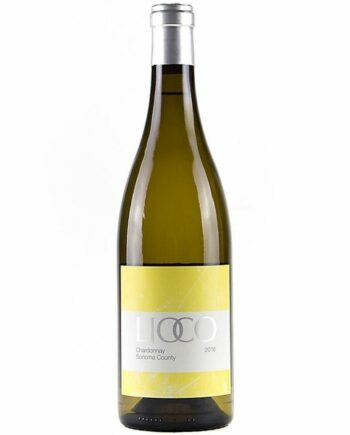 Kevin O’Connor and Matt Licklider founded Lioco in 2005, fusing their last names into a portmanteau for the winery’s name. They were tired of the rich, over-extracted wines that had become commonplace in California in late 1990’s and wanted to make nuanced and balanced wines that were inspired by the French wines they had first fallen in love with. 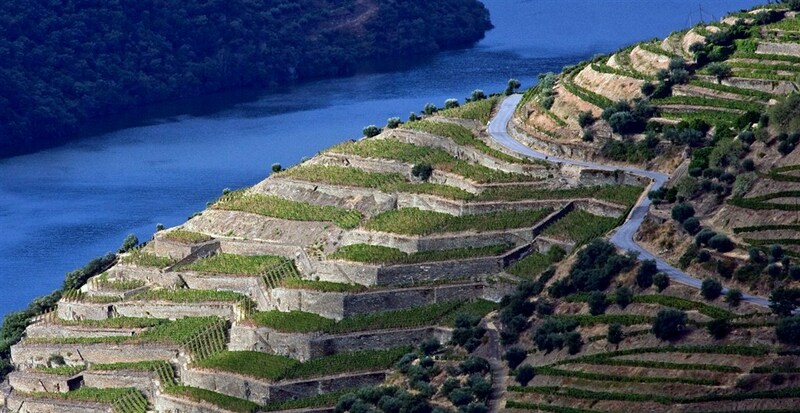 Unlike many other wineries, Lioco doesn’t own massive vineyards nor do they produce an “estate” wine. Instead, Lioco fosters long terms relationships with grape farmers to use fruit from some of northern California’s best vineyards. The Lolonis vineyard, from which this valdiguie is harvested, is located in the Redwood Valley AVA in Mendocino County, approximately two hours north of Sonoma Valley. The vineyard is farmed by Athans Poulos and his wife Denise, and while they grow chardonnay, sauvignon blanc, carignan (which we also carry), it’s their valdiguie that’s my personal favorite. The story of valdiguie (VAL-dee-gay), like that of many obscure grapes, is one of mistaken identity. 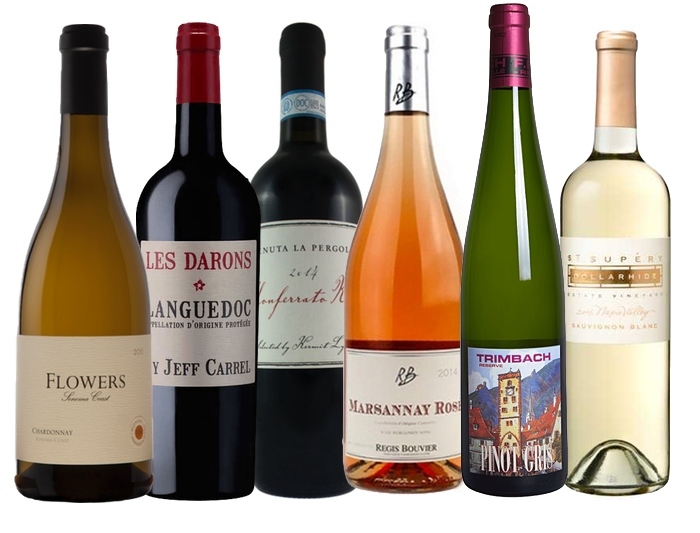 In France, the grape never gained popularity outside its native Languedoc-Roussillon region. It was often grown under the name Gros Auxerrois and was typically blended into other local wines to increase color and aroma. In California however, the grape, under the name “Napa Gamay” gained modest popularity in the mid 20th century. The grape itself has no real relation to gamay, the grape grown in Beaujolais, but its light-bodied style and heady aromas made for resemblance enough in an age before genetic testing. It wasn’t until 1980 that “Napa Gamay” was found out to be valdiguie, and regulations were set in place that forced all wineries to use the name valdiguie on labels starting in 2007. In the intervening years as cabernet sauvignon and pinot noir became more popular, wineries began ripping out their decades-old valdiguie vines to plant grapes that would be more profitable. As a result, only a handful of valdiguie vineyards remain in California, with the Lolonis vineyard having some of the oldest know vines (some planted as far back as 1945). The wine itself a dark, inky purple in the glass. This is definitely a wine that will stain your teeth. In the glass, there’s an explosion of blue and purple aromas. Imagine crashing a truck full of blueberries into a field of violets. On the palate, there are still those opulent fruit flavors, blueberry, fig, blackberry, but there’s also an undercurrent of freshly smoked cigar and worn leather. For food pairings, I think you’ve got almost the entire world at your fingertips. I’ve had this wine several times, each with a different meals: roast beef, grilled chicken, and vegetarian lasagna. No, that’s not a typo, this wine really is from Arkansas. Charleston, Arkansas to be exact. Winemaker John Trickett and his Circle T winery are something of a legend in local wine circles. In the spring I got to meet him, tour his winery, and taste the first and only wine he ever made: the Rock House Red. Made entirely of syrah, John sought to imitate the wines he loved from France’s northern Rhone Valley and to do it, he used the only land available: his family’s homestead from the 1800’s. My meeting with John turned into a profile for the July issue of Arkansas Life magazine. You can read the feature here, and I hope that you’ll take the time to do so. John’s story is a magical one and emblematic of the love and passion that so many winemakers put into their wines. Sometimes we think so much about what to do with a bottle of wine once we open it that we forget that it was made by someone for whom it was their life’s work. The Arkansas Life article Seth wrote about Circle T and its wine took a while for me to read. I asked a friend or two to go through it first—call it the journalistic equivalent of sending a younger sibling into a closet to prove shutting the door makes the light go out. One I did read it, I was at once amused, confused, humbled and grateful. The first two impressions came from his framing me as an isolated museum-dwelling curmudgeon shrouded in mystery. I had no idea who he was talking about until the aforementioned friends confirmed his journalistic integrity. The humility and gratitude rose from the praise he gave to Circle T’s wine. As for that, I make it a practice to never argue with writers. When I planted Syrah at Circle T years ago, I picked the grape variety and the site because of the elevation, the exposure to the sun and the drainage. I didn’t realize until later that the vineyard was on the homesteaded parcel where my ancestors stopped going west from Virginia before the Civil War. It could be they stopped because they liked the views. Frankly, so do I about 160 years later. I love Circle T and I’m grateful to them, too, for choosing to stop there. I hope that I am a worthy custodian of our family’s land. My goal was simple when those vines went into the ground: Grow Syrah grapes to make wine I wanted to drink. Rock House Red is that wine and I do enjoy it (particularly with my Serrano ham/mushroom risotto). Reflecting once more on Seth’s article, I must say he is a lively and passionate writer on wine and on a very important point he quoted me accurately: Rock House Red needs a good bit of air before you drink it. There’s a lot of Circle T—and me—in that bottle and both of us are a little shy. Decant it or at least give it a few extra swirls in your glass. I hope you’ll agree that your patience will have been rewarded. Let’s not pretend that it’s anything other than hot as hell outside and whatever wine I drink needs to be ice cold for the foreseeable future – this totally fits the bill. A lot of people don’t get turned on when they think about an off dry sparkling red wine, but this is the real deal, a perfect bottle for scorching hot days that turn into scorching hot nights. It’s great on its own but it pairs with just about anything. Still need convincing? This was said to be Cleopatra’s favorite wine. Bam! I don’t know what’s wrong with me but somehow summer 2018 has turned into the summer of sauvignon blanc. I just can’t get enough of it, and out of all of them this one has become my favorite. It’s so ripe and tropical, like a big fruit salad in my mouth. Notes of white peach, papaya, pineapple, and a tiny dollop of whipped cream. Wines don’t always have to be expensive to be great. This little blend of barbera, dolcetto, bonarda, fresia, and croatina is the ultimate Tuesday night pizza wine. It’s bright and fruity with strong notes of blackberry, rosemary, black pepper, and plums. It’s become one of my go-to’s and I think it’ll become one of yours too. Real talk – this is probably the best wine I’ve ever had. You can taste the sweet, juicy apple and it’s the perfect thing on hot summer days. I’ve always liked pinot gris, but until I had this one, I never knew just how amazing they could be. Once you’ve had this one, it’ll be hard to go back to anything else again! A blend of syrah, grencache, and carignan, this red blend from the south of France is bursting with energy and character. The nose is full of smoky, tobacco notes with a touch of dark red fruit. On the palate, black currant, blackberry, leather, and strawberry mingle with subtle spices on the finish. I recommend pairing this with pork or anything else you decide to grill this summer. 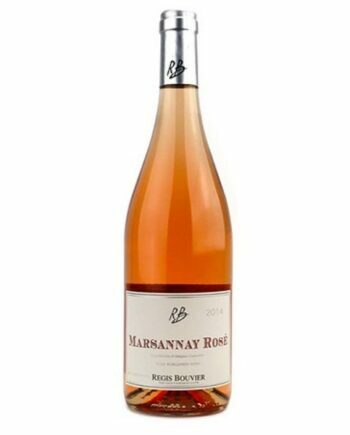 Helloooooo….is it rosé you’re look for? Because here it is! I don’t think there’s a place on Earth that makes better rosé than the Bandol region on France’s Mediterranean coast. A blend of grenache, mourvedre, and cinsault, this is the ultimate summer wine: light, dry, bright, and subtly fruity. This is what’ll be flowing through my veins for the next few months. Cristal clear straw yellow with green reflections; present and pronounced on the nose, ripe stone fruit, delicate citrus, hints of exotic fruit; on the palate juicy apricot, white peach and subtle hints of quince; an elegant structure; very fresh, crisp and well balanced by a great acidity and a dense fruit; long finish! 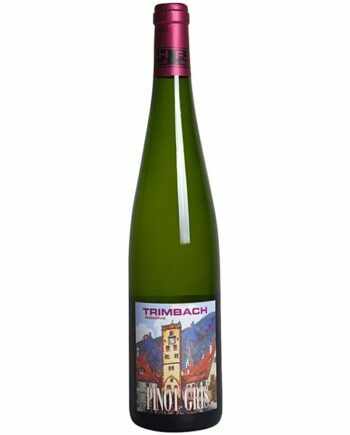 Made up of 70% pinot gris, 24% chardonnay, and 6% riesling, this is the perfect, no-fuss wine you want after a long day. It has notes of apple, melon and floral aromas. The flavors are all apples and citrus, bright and crisp, mouthwatering with a nice, lingering finish. Pair this fruity dry white wine with everything from cheese or chicken skewers to seafood, salads and even spicy dishes. This is the kind of chardonnay that I want to drink all afternoon by the pool. It’s intense and ripe with a lush, zippy acidity on its long, lingering finish. Crisp and bright, it’s full of green apple, ripe pear, and lemon flavors. It’s begging to be paired with salads, white sauce pasta, and grilled shrimp. Imagine a truck carrying blueberries crashed in a field of violets and you’ll begin to see why this wine is so fantastic. Made from grapes planted in 1942 and crushed by foot, this is an old-vine that somehow feels completely brand new. Pair this with anything: charcuterie, paella, bananas Foster, or a Christmas ham. It’ll be perfect with them all, I promise. Listen, I know what you’re thinking: Chardonnay? For May? Groundbreaking. To which I say: Yes, Miranda Priestly, CHARDONNAY FOR MAY! This is literally the chardonnay of your *~dreams~* (or nightmares, I don’t know, I don’t live your life). This wine tastes like a weekend in Palm Springs: sun drenched, fruity, and perfect for Instagram. I know what you’re thinking: two staff picks in a single month?! OF COURSE two staff picks in a single month! I’m just giving the public what the want! 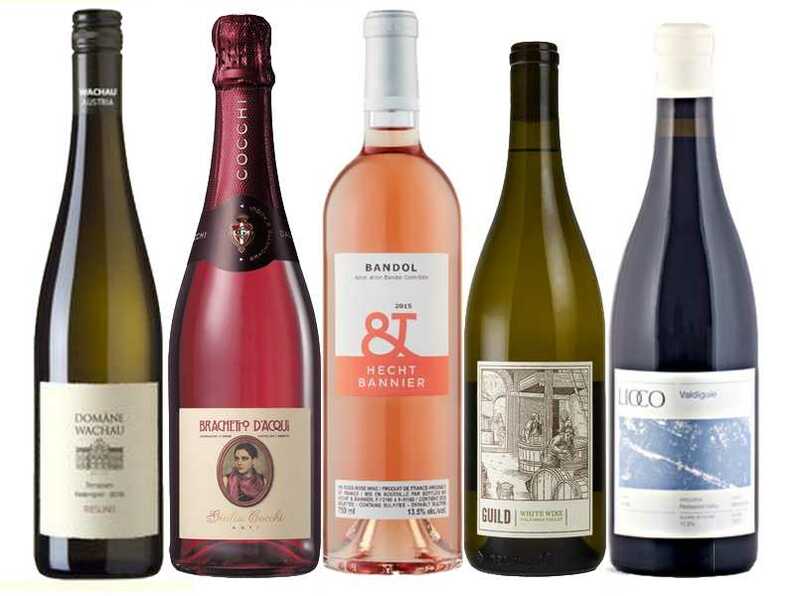 You know all the things you love about pinot? The tart cherry, the wet earth, the subtle hint of funk – well, crank it all to 11 and you’ll get where this wine is coming from. This is a wine best consumed while skydiving! Washington syrah is where it’s at right now, and there are few better than this one from the Horse Heaven Hills AVA. A backbone of acidity shows off the powerful minerality and intense floral notes of the wine. Aromas of dried flowers, fresh herbs, and wild sage are everywhere in this wine, while the palate shows notes of cherry, raspberry, and warm spices. 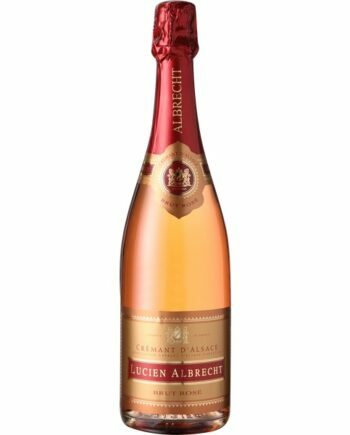 This is obviously a rosé wine, but it might surprise you to know that the predominant grape here is a white one: Melon de Bourgogne. 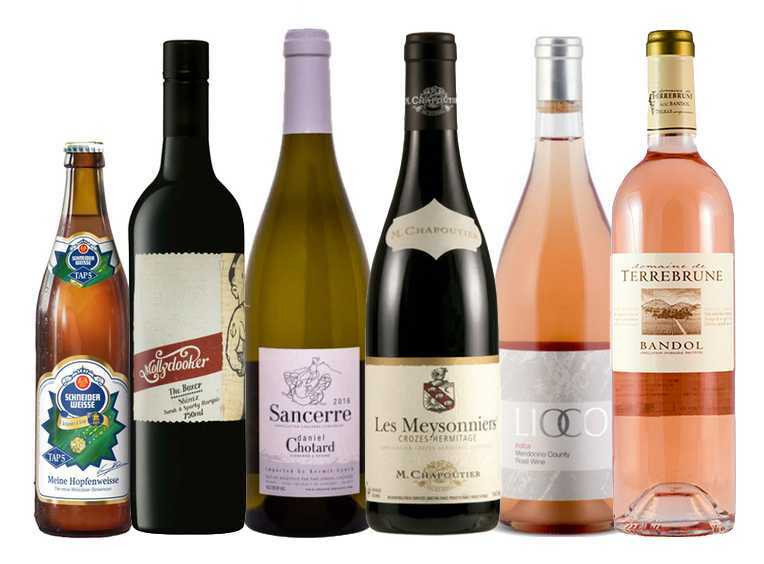 A healthy dose of pinot noir and viognier are also added to give the wine its pink hue and boost its aromatic profile. It’s perfect on a hot summer’s day with a slight chill on it. Notes of raspberries and fresh flowers make it ideal of sipping poolside. Although it’s from Washington state, this rosé is made in the style of Bandol from the south of France. 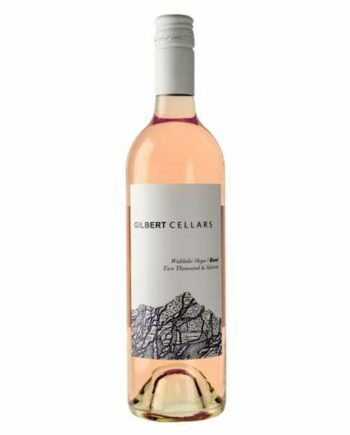 A blend of two grapes (mourvedre and grenache), it’s full of fragrant notes of peach, grapefruit, and papaya. Completely dry, this is the kind of wine you’ll want to sip on all day long. I like to pair it with seafood like grilled shrimp or steamed mussels. If you haven’t yet caught on to Washington wine, this is the bottle to start with! Spring is here, the back porch is calling, and this wine is perfect for the occasion! 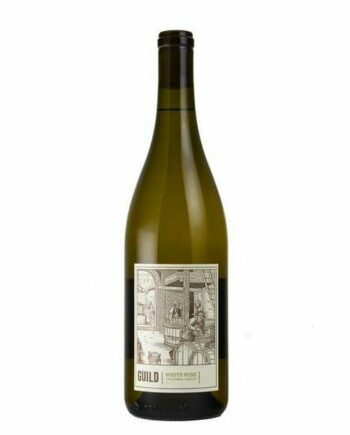 It’s bright and refreshing, bursting with apple and pear flavors held up by a subtle, nectary richness. 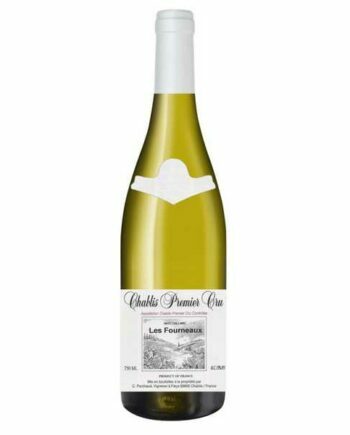 The finish is straightforward, driven by the minerality that Chablis is famous for. It stands up well to creamy sauces, but really shines with salads and spring vegetables. Ideal for a sunny afternoon! Hello spring!! This wine is everything that April means to me: blue skies, warm afternoons, fresh flowers, and rosé in the backyard. Made from old-vine carignan, this is what all rosé should be: light, bone dry, and a color closer to onion skin than strawberries. Notes of grapefruit, kiwi, lime zest and watermelon candy make this the ideal wine for backyard parties, pool parties, or any other occasion at which guacamole might be served. Listen, I know what you’re thinking and no, I don’t know how you pronounce it either, but trust me, this wine is the bomb dot com. Made mostly of grenache with a little syrah thrown in, this is a fruit forward wine with notes of raspberry, cherry, and blueberry. It’s going to be perfect with everything coming off the grill this summer. 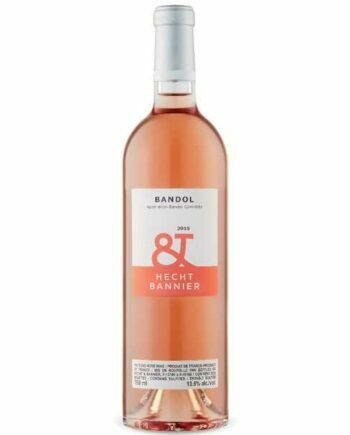 In my mind, there’s nowhere else in the world that makes better rosé than Bandol on the south coast of France. This wine is both light and dry but is also meant to age for several years, getting more and more complex with time. Look out for notes of strawberry and cherry, lemon zest, and just a little touch of lavender on the finish. Pair it with warm nights and afternoons at the lake. When I first tasted this wine, it reminded me of my pet snake Sally: lithe and graceful, yet full of power and energy. 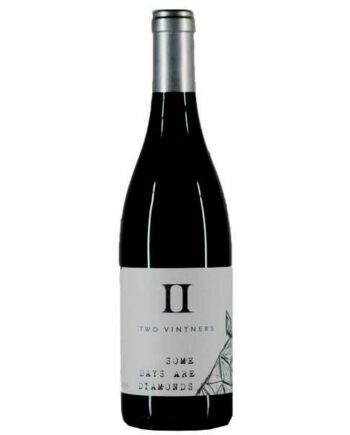 In some ways, it’s what you might expect from Australian shiraz, with its super ripe fruit aromas and big tannins, but with a little time to open up it turns into an elegant wine with notes of black cherry, blackberry, freshly ground pepper, and freshly picked thyme. This is perfect for your next backyard BBQ. 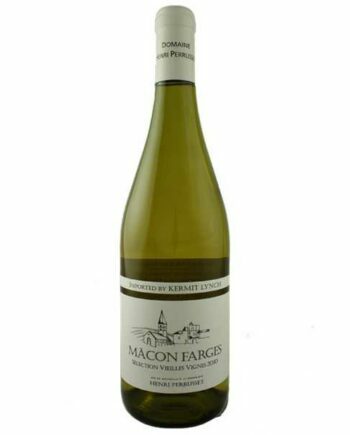 This French sauvignon blanc is full of bright, lively acidity and savory, herbaceous aromas. We love to pair this wine with chicken, salads, or anything made with goat cheese! It has a slight note of lemon zest that’s then followed by the scent of bay leaves, fennel, thyme, anise, and lime peel. The winemaker is quite an accomplished jazz saxophone player hence the instrument on the label. Born of a collaboration between legendary brewmasters Garrett Oliver and Hans-Peter Drexler, this is truly a force to be reckoned with. It’s luxurious and creamy on the palate, with rich wheat flavors pierced by bright, citrusy hops. It tastes almost exactly like a bottle of lemon meringue pie. With enough body to brace you for the last chilly spells of the year and the zest to celebrate warmer days, this beer is perfect for welcoming Spring! By now, you’re no stranger to my monthly stories of how Keegan and I try to plan these wines months in advance only to have the plans almost always fall apart. Well, this month, I’m happy to say that we’re finally able to give to a wine that we’d hoped to have in your January allotment: Dow Late Bottled Vintage Port. Better late than never, right? That really is the case with this wine, as Port, especially this one, is such a fascinating category. Port wine is the traditional fortified wine of Portugal. Though there are several different grape varieties used for Port, they are typically all harvested, crushed, and fermented together in the same vats. In Portugal these vats are called lagers and are large, shallow, open-top granite basins. Over the course of several days, the grapes are crushed in the lagers and are eventually transferred to tanks to ferment. Unlike other wines, Port doesn’t undergo a complete fermentation. Once the wine reaches an ideal sugar level, brandy is added to stop the fermentation process in its tracks. Late Bottled Vintage Port is, as you might have guessed, a wine that comes entirely from a single vintage (2011, in this case). The “Late Bottled” aspect of the wine comes from the fact that the wines is left to age in barrel for 4-6 years as opposed to vintage port which is aged in wood for only 2. 2011 has come to be recognized as one of the top Port vintages in recent years, with some even naming it one of the top five vintages in the last century. In fact, Dow’s 2011 vintage Port was named the number one wine in the world by Wine Spectator magazine when it was released in 2014. For those of you who have yet to try Port, I think you’re starting off on the right foot with this one. When I tasted it I was surprised by its complexity, managing to be both dark and intense, yet also somehow spacious and bright. There are, of course, notes of red fruit and tannins here, but I was caught off guard by flavors of spiced persimmons and fresh chocolate shavings. It’s a striking wine, and I almost want to call it “elegant,” though I’m afraid that might connote that this is in any way a light bodied wine. Instead, I’d call it “regal,” much like a queen on her throne, bathed in opulence. Chocolate desserts and bleu cheese are the classic pairings and you’ll see why with this wine. I’d also recommend trying it with a dessert like almond torte or white chocolate cheesecake. Though I have no proof of this, something deep inside me wants to try this with Mexican mole sauce. It’s a pairing that seems so right and so wrong at the same time. I’ll let you know once I’ve come to a decision. Unlike vintage ports, this LBV is ready to drink now and should be consumed within about 2 week. After opening, store it in your refrigerator to extend the drinking window. 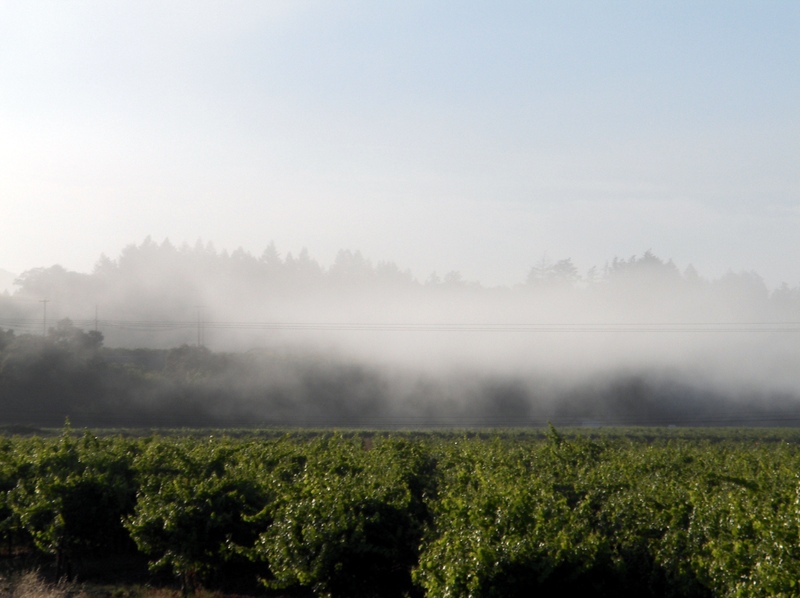 Daily incursions of cooling fog from the Pacific Ocean make the Green Valley and the Russian River Valley at large ideal places for growing pinot noir and chardonnay. Granted, Spring is still a few days away, but it’s definitely what Keegan and I had in mind when we found this chardonnay. 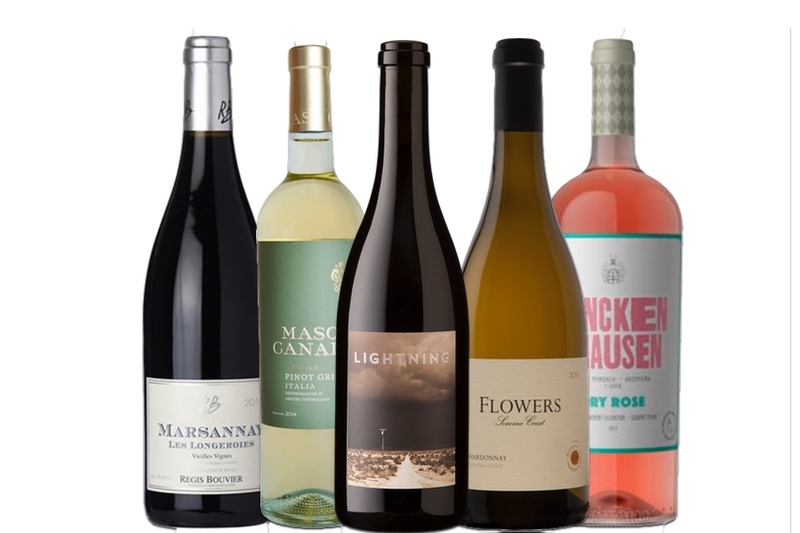 This isn’t the racy, light wine for a stifling summer heat, but instead a chardonnay with enough weight and body to stand up to those Spring days that still require a heavy jacket. Screen Door Cellars has been a favorite of ours for a few years now, and you might be familiar with their exceptional Russian River Valley pinot noir or rosé of pinot noir, both of which we carry. The passion project of Bobby and Shannon Donnell, Screen Door Cellars was founded in 2012 with 100 cases of pinot coming from their first vintage. Since then production increases have seen the addition of single vineyard pinots as well as, in 2015, their first ever vintage of Chardonnay. The ASERN vineyard was bought by Shannon’s parents in 2013 who named it after their grandchildren (Alex, Savannah, Emma, Robert and Norah). 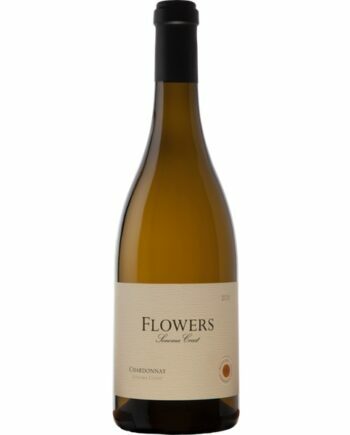 Located in the Green Valley of the Russian River Valley, it was planted with Spring Mountain clone chardonnay in 1991. The Green Valley of the Russian River is a sub-American Viticultural Area (AVA) of the Russian River Valley, meaning that it’s located completely within the legal boundaries of the Russian River Valley AVA. 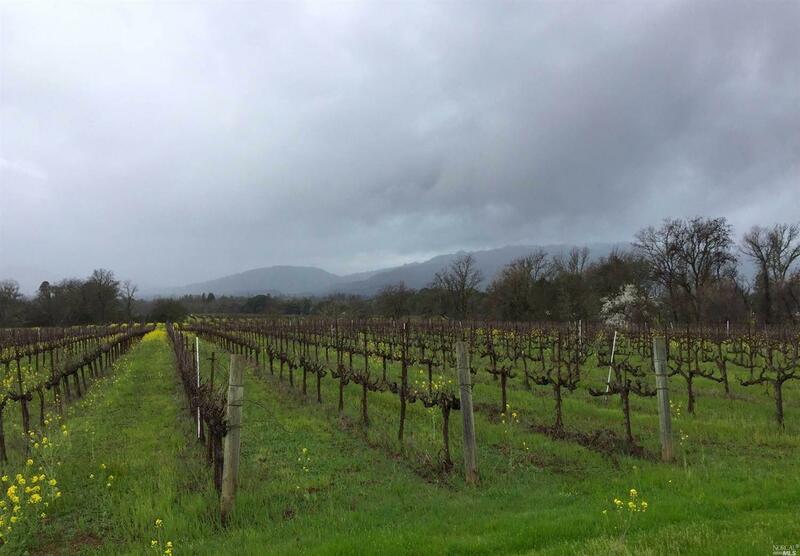 It’s widely known to be the region of the valley that receives the coldest temperatures, making it ideal for chardonnay, pinot noir, and especially sparkling wine (For those of you familiar with the locale, sparkling wine producer Iron Horse Vineyards is just down the road). On first whif, you’ll notice that this isn’t your grandma’s chardonnay. While it’s no butter bomb, it’s not the lean and minerally chardonnay of Chablis either. Instead, it has a style that’s entirely it’s own. The fruit notes skew yellow and golden – think yellow apple skins, overripe pears, quince, and pineapple gummy bears (you know, those clear Haribo ones). But it’s the non-fruit notes that I find so fascinating. This chardonnay is downright spicy. Cardamom, baked clove, cinnamon, and nutmeg, even a little fresh vanilla pod. It’s both humble and ferocious. A real Reba McEntire of a wine (especially in the music video for “Fancy”). Naturally, I’m completely obsessed with it. As for pairings, this wine is a diva so it’ll need something strong to keep up with it. I’m thinking lobster in vanilla and butter sauce, or maybe a nice pasta primavera, now that our gardens are starting to look a little greener. I think you could also do a chicken in a roasted mushroom sauce that would just kill at the dinner table. Either way, I’ll be accepting your dinner invitations regardless of what’s on the menu. An awesome weeknight sparkler, this wine is made entirely of pinot noir grapes and in made using the same technique that’s used in Champagne. 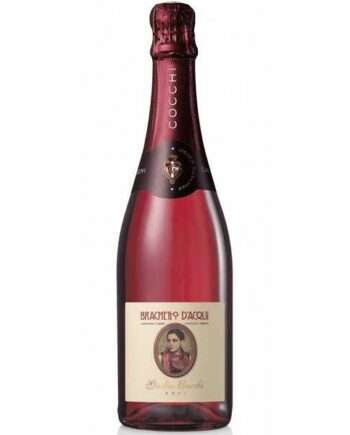 Notes of ripe strawberry and wild cherries are prevalent with a long, sparkling finish full of bright acidity. Pairs well with creamy cheeses, sunny afternoons, and reruns of The Office. The list of things I love is short, but after my coworkers and my mom, this chardonnay is near the top of that list. It’s round and layered with nuances of blood orange, lime, and lemon zest and it’s quickly become one of my new favorites. There’s so much acid to this wine that it matches almost any food. I’d happily pair this with seafood, chicken, or a nice al fresco brunch. Canard is one of northern Napa Valley’s little, hidden gems. Made entirely from estate grown fruit (most of it grown just feet from the owners back porch), this wine is deep and intense with a gorgeous, almost black color. 2012 was a stellar vintage in Napa and this wine is ready to be drunk! Look for strong aromas of cassis and spice that are balanced by just a hint of cocoa powder. Big and juicy, this wine is like eating a ripe plum, with extra notes of cranberry, Bing cherry, and rhubarb. 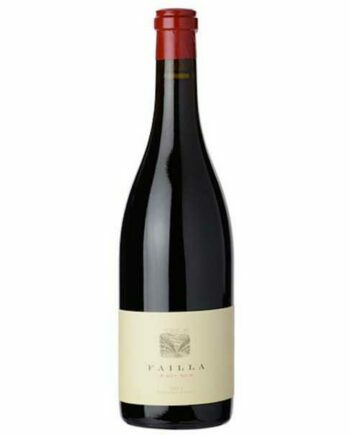 What makes this wine really cool is that it was made using both the grapes themselves and their stems in a process known as “whole cluster fermentation.” This is a wine that will make you see pinot noir in a whole new way. Pair it with duck, pork, or chicken. Unpasteurized, undiluted, and untamed, this is sake in its purest expression. The nose is rich and fruity, with sweet banana bread aromas. It’s juicy and unctuous on the palate, bursting with bright melon and citrus flavors balanced by a richer, earthy rice foundation. 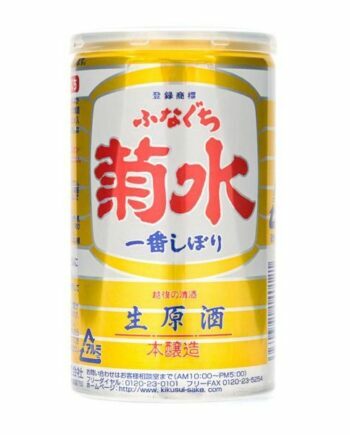 If you’re an experienced sake drinker, this unusual brew is not to be missed. For those new to the drink, this punchy little guy will make a great first impression! Copyright © 2016 O’Looney’s Wine & Liquor. All rights reserved.